It was the day before the night before Christmas…. For the second year in a row we have spent the holiday season in Florida. Since we are originally from Ohio we still have the occasional urge to see snow or go snowboarding, but don’t miss the ice or frozen muck on the roads, or the bitter cold temperatures that we left behind in Ohio. That said, it is definitely more difficult to get into the Christmas/holiday spirit when the air conditioning is running because it is 80 degrees outside on Christmas Eve. Even so, I still am not ready to go back to the snow. This year for Christmas Eve we listened to Christmas carols and attended a Christmas Eve service at Harborside Christian Church in Safety Harbor, FL. After the service the church hosted a social hour with cookies and sparkling juice under a large white tent on the church lawn. In place of snow they had two large bubble makers running. 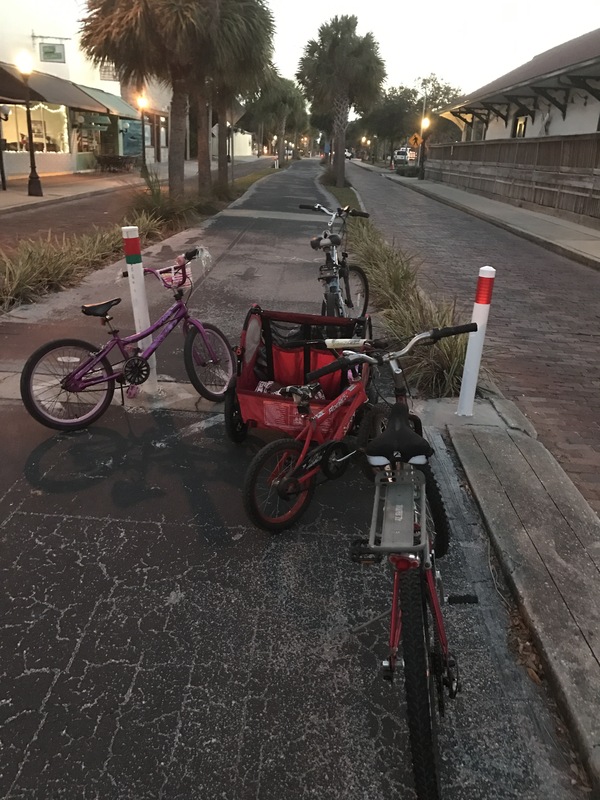 However, unlike in years past spent in Ohio, we also went on a family bike ride on the local bike trail for a distance of 12 miles. The kids enjoyed seeing houses and buildings along the trail with their illuminated strings of lights. 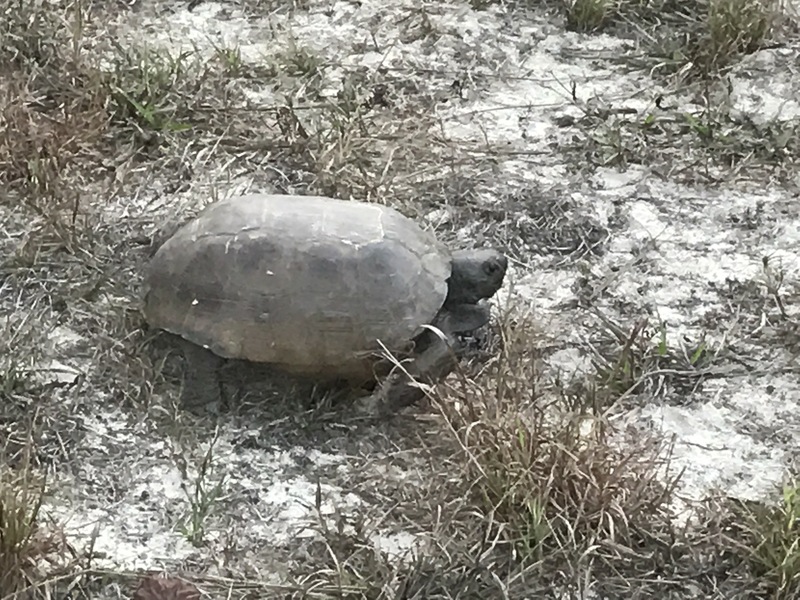 We came across a tortoise along the trail, and when the kids got a little too close, we heard its warning hiss directed at us. We all wore t-shirts and shorts, and even after the sun went down and we turned on our LED headlights and taillights we were plenty comfortable in our attire. 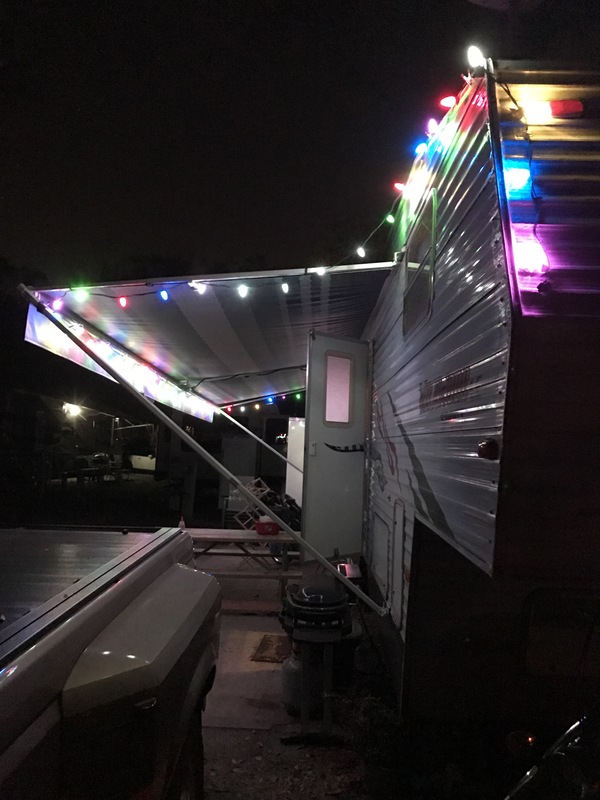 Once we were done pedaling, we returned to our RV adorned with multi-color LED Christmas lights and opened presents since I work today, Christmas day. It was a nice day spent with family. We will have our next round of Christmas festivities later this week when my parents arrive in town, followed by Heather’s family the week after that. So starts our marathon of Christmas celebrations. Merry Christmas everyone!